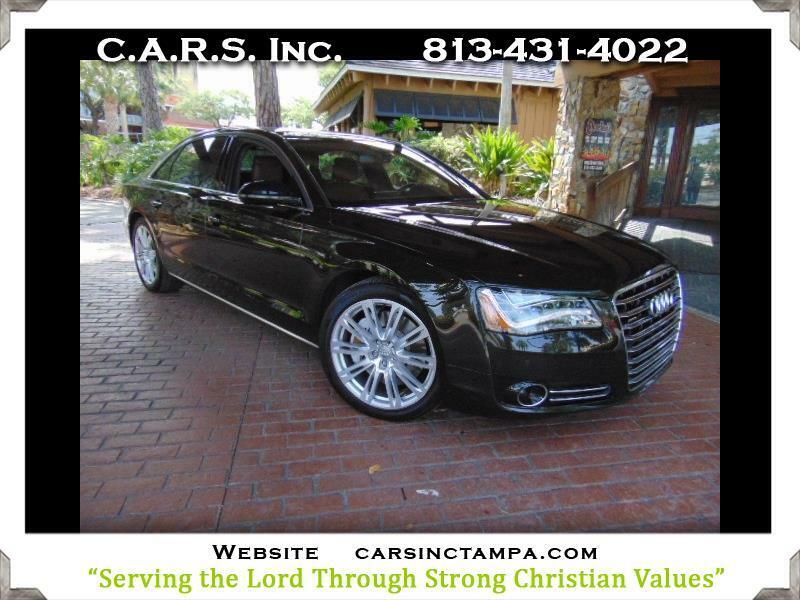 Used 2011 Audi A8 Premium 4.2L V8 Quattro for Sale in Tampa FL 33609 Complete Auto Remarketing Specialists C.A.R.S. Inc. Message: Thought you might be interested in this 2011 Audi A8. Complete Auto Remarketing Specialists C.A.R.S. Inc. Effective June 15th 2016, C.A.R.S. Inc. officially moved to 732 1/2 North Dale Mabry Highway, Tampa, Florida 33609 We have served the Tampa Bay Community for Over 30 years and have signed a long term lease and will continue to provide Extremely High Quality, Low Mileage, Well Serviced Premium Condition Pre Owned Vehicles for years to come ......we have never Charged additional Dealer Fees and Never Will..... Our Goal is to "Make Friends For Life" by Serving the Lord Through Strong Christian Values With the Highest Level of Ethics..........Guaranteed, Judd Cook.